In 2017, it has been 40 years since the inverter power source was developed. We sat down with Tapani Mäkimaa, an original member of the development team, and discussed what makes Kemppi a pioneer in its field, year after year. “Everything starts from a burning desire to know. 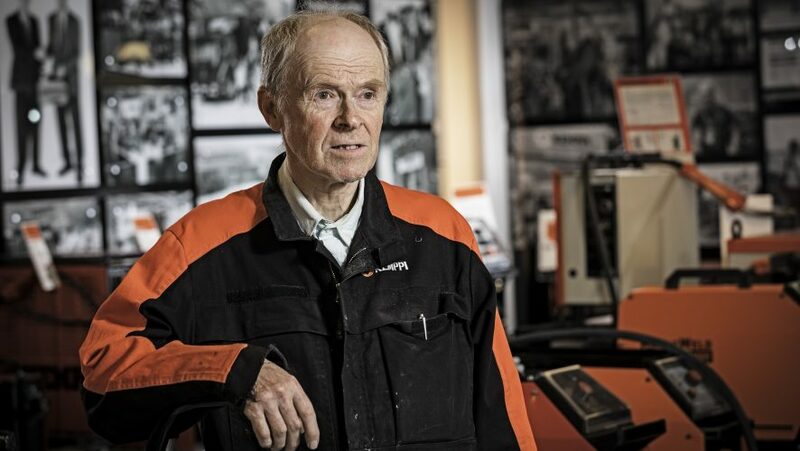 Combine that with enthusiasm for learning and discovering new things and skills and a nice work community, and you’ve got all the pieces you need,” says Mäkimaa, summarizing his 45 years at Kemppi. Mäkimaa started out as a trainee and summer employee at Kemppi in 1970. 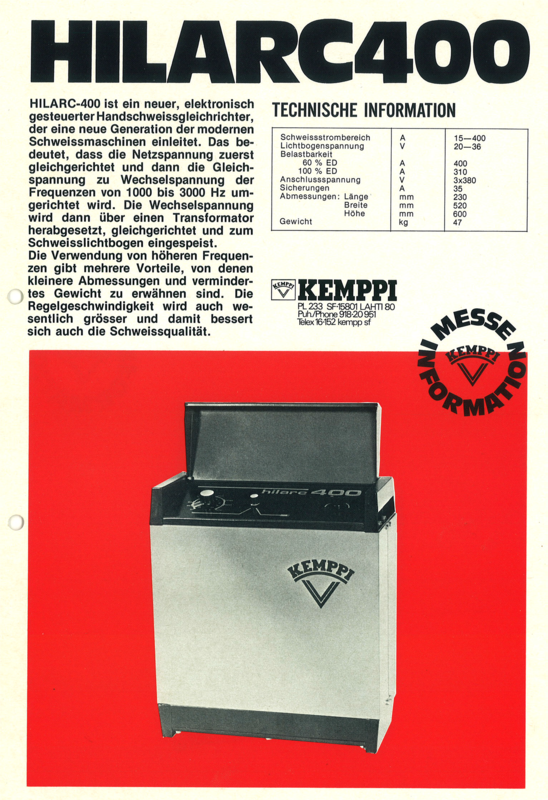 At the time, Kemppi already was a well-established welding machine provider in Finland. The company internationalized quickly, and, for an engineer of semiconductor physics from Otaniemi (today Aalto University of Technology), this meant a strong basis for product development. 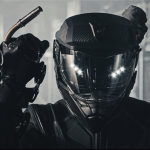 After finishing his time as a conscript in the Finnish Army, Mäkimaa combined forces with Martti Kanervisto when the performance of traditional technology just wasn’t enough for the needs of the accelerating welding industry. “We began to consider solutions where you’d switch to higher frequency already at the mains voltage level. The thought was simple, but making it happen with the technology of that time seemed impossible. So we pondered which component would be reliable and efficient enough for the needs of industrial production,” says Mäkimaa. Inverter power source – or converter? “The switch affects the control of the arc in a fundamental way. Even today, it’s the muscle of the machine that does the work, for instance, in computers, televisions, home appliances and chargers. At first, the new switches were tested in small series of a few dozen machines that made a whining noise in use. This naturally wasn’t a problem in a workshop environment, but for us it wasn’t a good enough result. The new switch was introduced for the first time in the HILARC400 demo machine at the Essen Welding Fair in Germany in 1977,” recalls Mäkimaa. “’Inverter’ was chosen as the name because it’s short and easy to remember. We found a technique that works in all welding methods,” continues Mäkimaa. 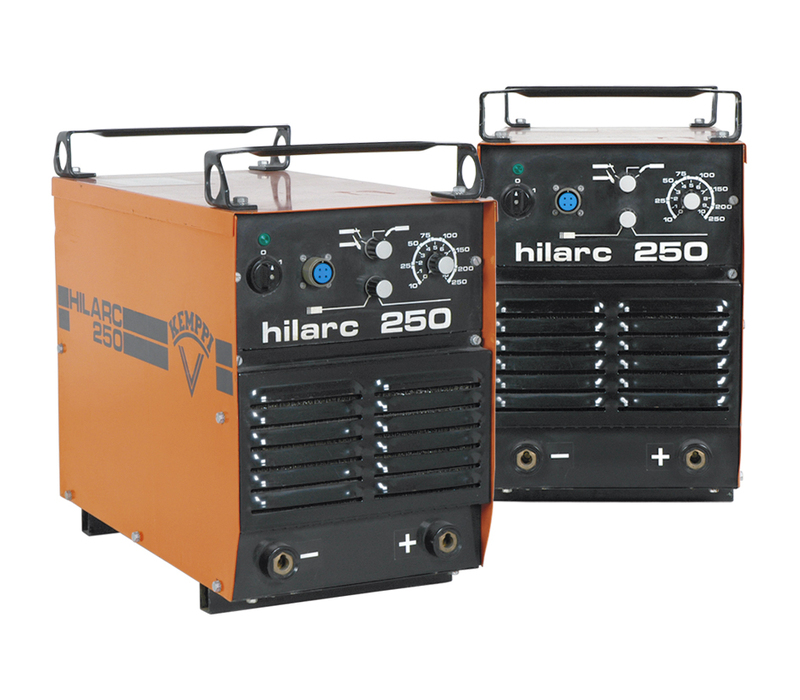 “The first multi-functional inverter power source HILARC250 was launched in Stockholm a year later. Product development continued with optimizing costs, leading to comprehensive examination and development of details. A huge number of experiments were performed at the start. Product development is not a matter of faith. It has to be based on knowledge and deduction. Up until now, product development has focused on unraveling the hindrances to work. The 40th anniversary of the first inverter power source will be celebrated at Schweissen und Schneiden, one of the largest exhibitions in the welding industry, in Dusseldorf in September 2017. 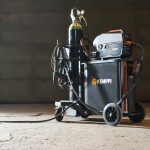 Once again in Germany, Kemppi will prepare to challenge the conventional and present new and innovative welding solutions for the needs of future welding. Great article about Kemppi history. More articles like this please! Ótimo testemunho! Tenho uma pequena empresa de maquinas de soldagem no Brasil. Estamos iniciando na fabricação de maquinas inversoras digitalizadas. O grande numero de experiencias e testes no inicio, é fundamental. Assim como o conhecimento e a vontade de inovar. Parabéns a equipe Kemppi! Ótimos produtos!